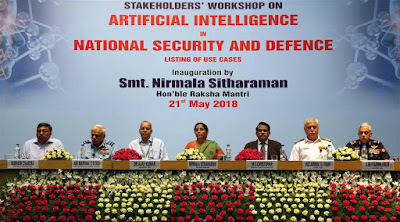 The Raksha Mantri Smt Nirmala Sitharaman inaugurated the ‘Stakeholders’ Workshop on Artificial Intelligence in National Security and Defence, Listing of Use Cases’, here today. 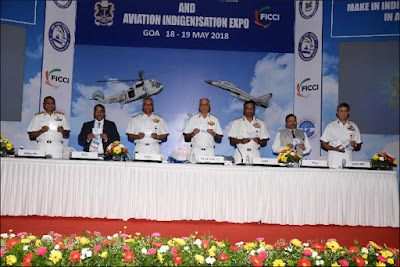 It was attended by Chairman DRDO & Secretary Department of Defence R&D Dr S Christopher, Secretary (Defence Production) Dr Ajay Kumar and other senior officials of the Ministry of Defence and Services. Artificial Intelligence (AI), a branch of computer science dealing with the simulation of intelligent behaviour in computers, has shown significant technical advancement in some of the developed countries. Most of this progress is due to advances in the AI sub-field of Machine Learning (ML).Most experts believe this rapid progress will continue and even accelerate. Most AI research advances are occurring in the private sector and academia. 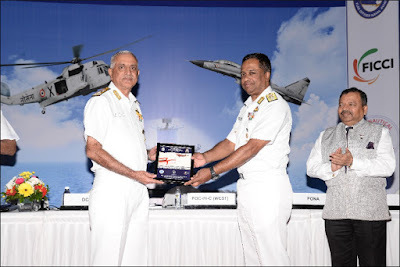 To establish tactical deterrent in the region. To support its peaceful and commercial use. To visualize potential transformative weaponry of future. 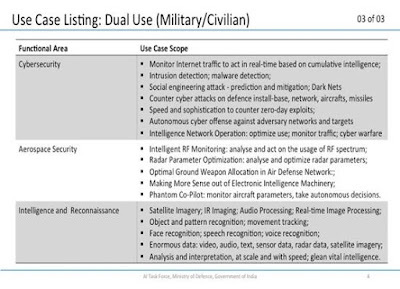 To facilitate in keeping a check on non-state actors. To develop intelligent, autonomous robotic systems. 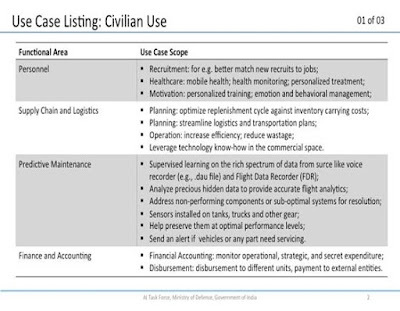 To enhance capabilities for collection and analysis of data and also creation of data. Study use of AI by other leading countries including US, China, Japan, Germany, Russia etc. Study of level of AI/ML development in India in general and specific in the context of defence needs. Make recommendations of making India a significant power of AI in defence specifically in the area of aviation, naval, land systems, cyber, nuclear, and biological warfare; Recommendations to include both defensive and offensive needs including counter AI needs. 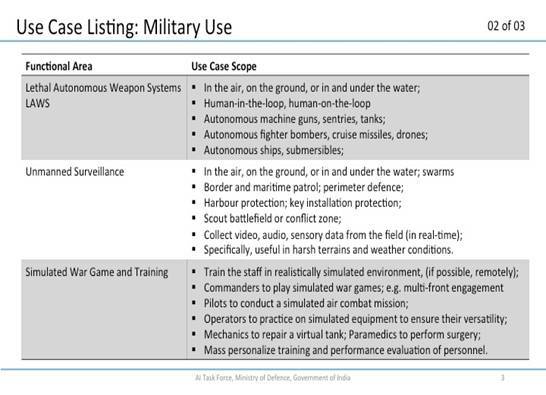 Make specific recommendations with respect to arrangements for AI safety required within defence ecosystem. Make recommendations for policy and institutional interventions that are required to regulate and encourage a robust AI based technologies for defence sector in the country. Specific suggestions for increased focus on AI within DRDO, BEL, service units, selected academic institutions of the country. Considering that most AI work is happening in private sector, make recommendations to work with start-ups/commercial industry in the field of use of AI for defence purposes. 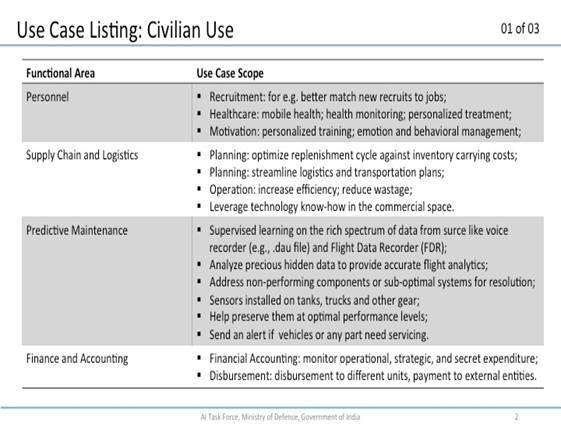 Recommendations for RFIs that need to be floated in next 2 years on dual use AI capabilities. Make recommendations regarding appropriate strategies of working with startups in US working in this area. Recommendations for funding required to achieve aforementioned goals. The AI Task Force of Ministry of Defence under the Chairmanship Shri C Chandrasekharan, Chairman of Tata Sons, has met twice on 10 February and 28 April 2018. In the last meeting it was discussed that one of the key approach for the use of AI is to work on building profile that mimics normal behaviour by learning from the data generated from a given use case. Then using machine learning/ deep learning techniques, one can draw correlations among various parameters in an automated way (from the huge data set) and can flag pattern and anomalous behaviour for further analysis and insights. This essentially forms the basis for AI based applications. 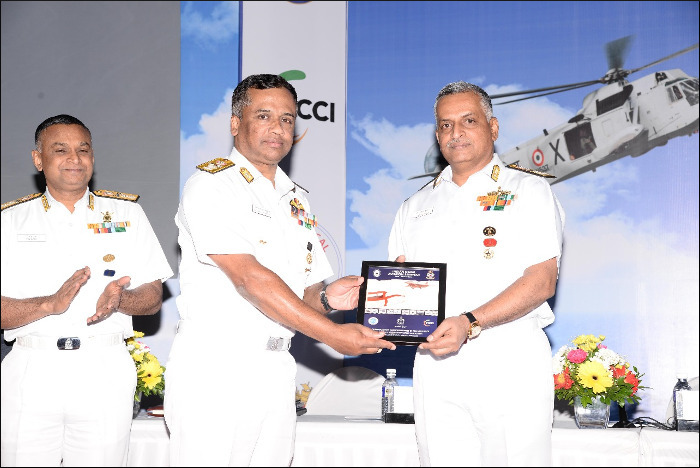 Thus, it was decided that a Stakeholders’ Workshop on AI in National Security and Defence shall be organized for ‘Listing of Use Cases. 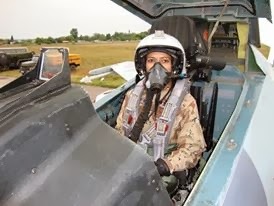 Air Chief Marshal Birender Singh Dhanoa, PVSM, AVSM, YSM, VM, ADC, Chief of the Air Staff, Indian Air Force, is embarking on a four day visit to the State of Israel from 21st to 24th May 18. 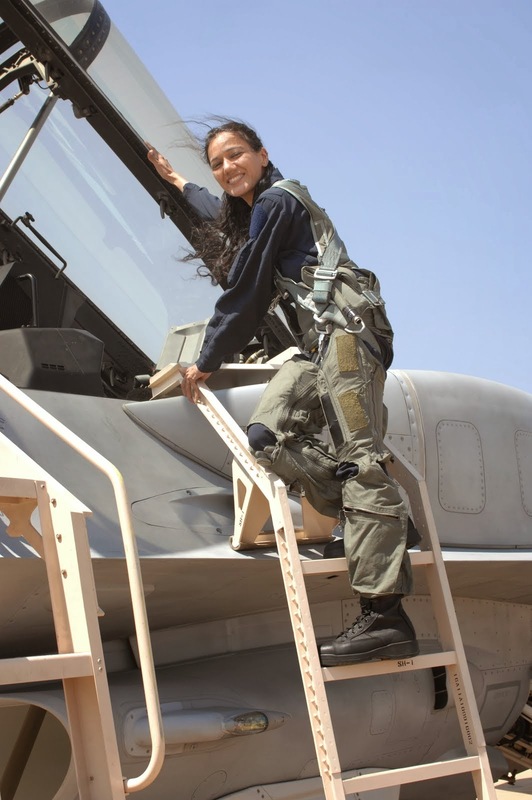 The CAS would attend a conference themed ‘Air Superiority as a Bridge to Regional Stability’, as part of 70th anniversary celebrations of the Israel Air Force. 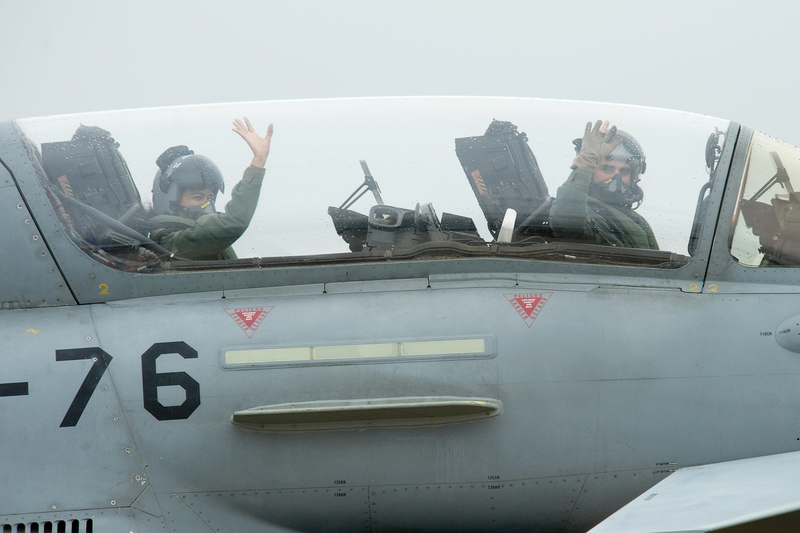 The conference will enable strategic dialogue between Israel’s highest leadership, innovative thinkers and the invited Air Force Commanders. 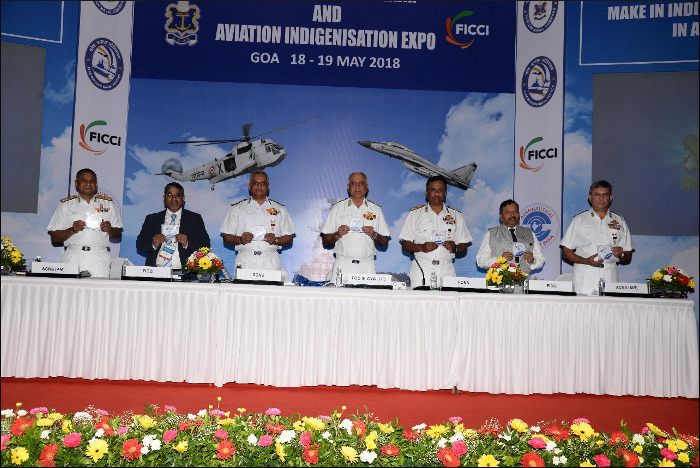 The visit of Hon’ble Raksha Mantri, Smt Nirmala Sitharaman, to Nagaland on 20 May 2018 was cancelled after take-off. 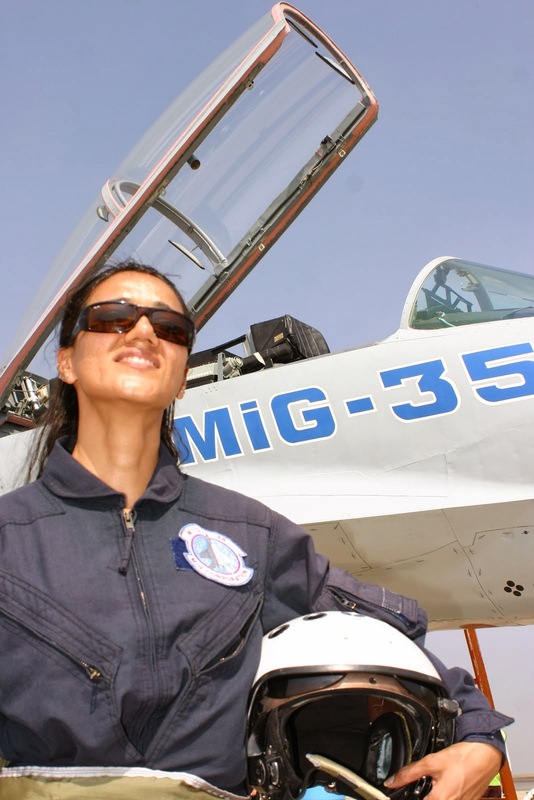 The aircraft had to return mid way since it developed a technical snag. 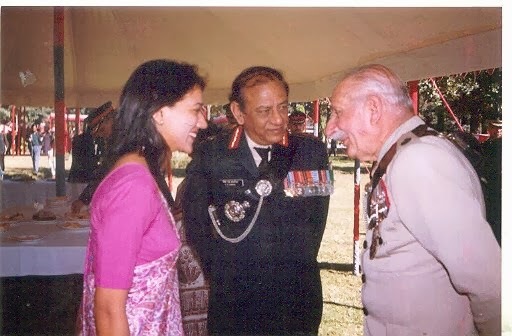 The Raksha Mantri would soon reschedule her visit to Nagaland. 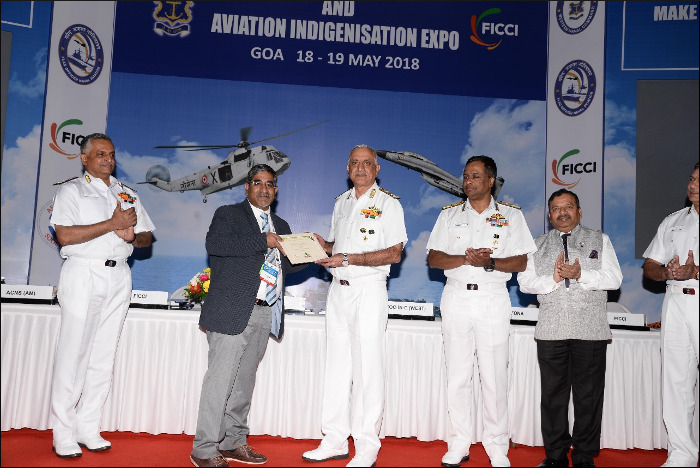 A Naval Aviation Seminar on 'Opportunities and Challenges in Maintenance of Fixed and Rotary Wing Naval Air Assets' was conducted by Goa Naval Area from 18 to 19 May 2018 at Goa. Vice Admiral Girish Luthra, Flag Officer Commanding-in-Chief, Western Naval Command was the Chief Guest at the inaugural session and Vice Admiral G Ashok Kumar, Deputy Chief of the Naval Staff (DCNS) delivered the keynote address. Speaking on the occasion, Vice Admiral Luthra enumerated the challenges faced during the lifecycle of aviation assets and highlighted the need for enhancing indigenisation in maintenance and repair of Indian naval aviation assets. 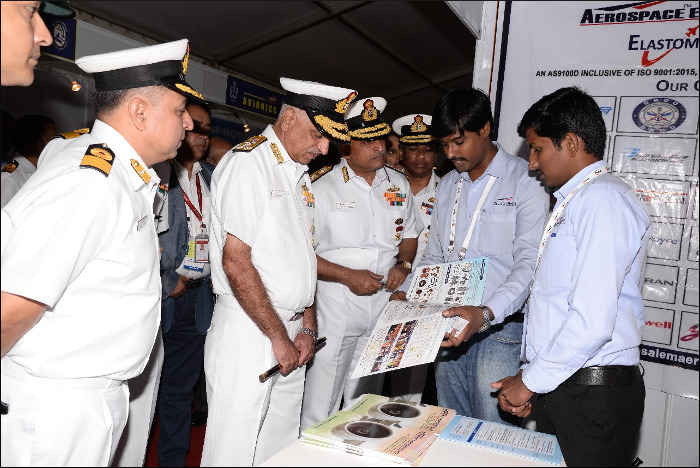 The event also witnessed the release of ‘Seminar Compendium’ by the Chief Guest, and 'Naval Aviation lndigenisation Guide Book’ by DCNS. 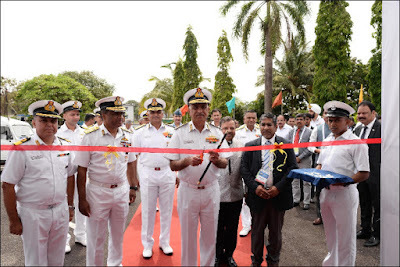 On the side-lines of the Seminar, an ‘Aviation lndigenisation Expo’ being conducted by the Indian Navy in association with FlCCl and AeSl, was also inaugurated by the Chief Guest. 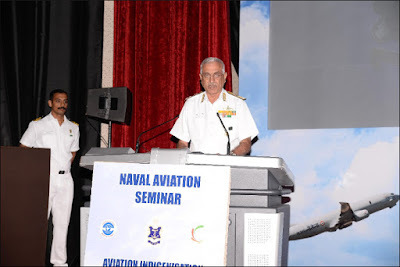 The seminar witnessed presentation of papers by eminent speakers from the Indian Navy and Air Force, DRDO, HAL, FICCI, M/s L& T Defence, Siemens India, Boeing Defence lndia, Leonardo Airborne & Space Systems, United Engine Cooperation (Moscow) and Russian Aircraft Cooperation MiG.